“We heard over and over again [that] ‘there is no way this is going to happen,’ that there was no way the card networks would ever certify this kind of solution and we should just forget it,” said de Nanclas in a recent interview with Karen Webster. Both du Haÿs and de Nanclas admitted that, in 2011, they were early to market, perhaps even a little “too early.” Being early, du Haÿs told Webster, had its advantages — namely, it gave them time to bolster the firm’s intellectual property, sew up a lot of patents and wait for the market to catch up with them (which it has). In 2014, when Apple launched Apple Pay, contactless mobile payments were suddenly thrust into the spotlight. Mobeewave’s founders noted this was somewhat of a boost, since the payments ecosystem started to pay more attention to the technology and the overall benefits of a tap-and-go checkout experience. This was followed by a much bigger boost from the growing use of contactless cards all over the world, gaining steam in markets such as the U.K. and Australia. Today, Mobeewave’s offering of secure contactless card payment acceptance on smart devices, without the need for external hardware, is no longer inviting the naysayers so much as it is inspiring investors. Last week, the Canadian firm announced it had closed a $16.5 million Series B funding round led by NewAlpha Asset Management, Mastercard and Forestay Capital. Though du Haÿs and de Nanclas both reported being pleased by the infusion of funds, they said they are more excited for what lies ahead in 2019. What makes 2018 (and soon 2019) finally the right season, de Nanclas noted, is the ubiquity of near-field communication (NFC)-enabled mobile devices and the growing wave of issuers that are issuing contactless cards. As they see it, acceptance will become much more exciting as issuers increasingly issue cards with contactless capabilities, and as tapping becomes the standard way to pay worldwide. 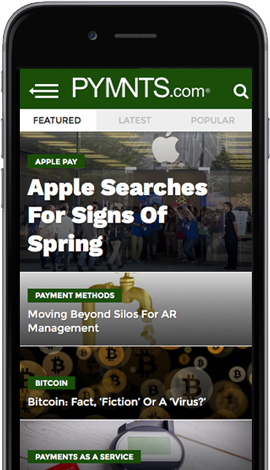 Mobeewave is a white-label technology platform, not a consumer app or a direct-to-merchant payments solution. Consumer onboarding comes courtesy of having a contactless card and a mobile banking app. Merchant onboarding comes courtesy of a mobile banking, FinTech or telecom partner, depending on the use case, in the 50 countries where Mobeewave operates. For example, de Nanclas noted, a U.S. micro-merchant is more likely to access the Mobeewave platform via its banking partner, whereas a micro-merchant in the developing world might be more likely to access the services through a telecom provider. Once onboarded, the Mobeewave platform makes it possible for a merchant to enter the payment amount for the purchase into a smartphone, then for the consumer to tap a contactless card or mobile wallet to the back of that phone to make the payment. The amount of the purchase is charged to the consumer just like any other checkout process using that card. While Apple Pay’s launch generated a lot of buzz in 2014, it didn’t exactly take the consumer payments world by storm, nor did the myriad of other mobile contactless payment services that followed soon after. People could tap and pay with their phone, but largely didn’t. When it came to paying at the point of sale (POS), consumers continued to use their cards. The story with contactless cards, however, has been somewhat different. In Canada, South Korea and the United Kingdom, contactless cards represented at least 20 percent of card-based POS transactions as of 2016. In Australia, that figure was at 27.6 percent, according to a recent A.T. Kearney study. In 2017, contactless payments increased by 97 percent in the U.K. to 5.6 billion. By the end of last year, there were nearly 119 million contactless cards in circulation in the U.K., representing 78 percent of debit cards and 62 percent of credit cards. While the U.S. has conspicuously lagged behind thus far, with a paltry 0.32 percent of payments made via contactless card, that is expected to change as more contactless cards find their way into circulation. Chase recently announced its intent to issue contactless cards across its entire Visa portfolio. Visa noted in its most recent earnings call that it expects to see 100 million Visa contactless cards issued in the United States by the end of 2019. “If you wait for the market to move to a new form factor, it can take 10, 15 even 20 years, particularly if you are waiting for consumers to abandon cards. I think, as we are seeing new ways of using cards, I would say they aren’t going to be displaced — and if you are solving acceptance in effective ways, you are thinking about how to make it easy, and in a way that doesn’t force anyone to use a card or phone, and instead lets users gather around what they want,” said de Nanclas. What users want, he noted, will vary market to market. In the developing world, for example, turning any NFC device into an acceptance point means consumers won’t have to travel far or line up for hours to make payments. In developed countries, it means micro-merchants and service providers will be equipped to instantly accept a card payment and collect sales revenue in real time, using the devices they own and doing business with consumers using a form factor they have and like to use. Terminals, he noted, that are easy on the front end to use — for both the person accepting the payment and the person making it. As is often the case with payment technology, what looks simple and seamless on the front end is a long and technically complicated build on the back end. That was particularly true for Mobeewave, especially when it came to building a secure and compliant payments offering. The “easy-ish” part was securing its cloud-based back end in a PCI DSS-compliant manner. The difficult part was securing devices held by individuals in markets all over the world. “Devices, by definition, aren’t secure,” du Haÿs explained, adding that they created the Mobeewave proprietary technology to leverage the secure enclave within the phones, where the data is encrypted. The integration with Samsung phones, du Haÿs said, is already complete, and will be completed with all Android phones by the end of the year. Work with other original equipment manufacturers (OEMs) is “ongoing.” However, he noted, because Mobeewave’s is a seven-year work-in-process (WIP) of creating a secure contactless payments solution, they believe the company brings an advantage to that work. The card networks, du Haÿs said, are enthusiastic supporters, since using the platform can fast-track the move from cash to digital, particularly in use cases where cash persists. The PYMNTS How We Will Pay study, done in collaboration with Visa, reported that not only are U.S. consumers enthusiastic about using contactless cards, but their primary use case for cash is tipping — the Mobeewave platform can turn a tip to a simple tap. That’s where, du Haÿs noted, being first in and having the IP advantage matters: Mobeewave offers the ecosystem an already patented and eCard network-approved solution that can be quickly mobilized.